Britain is re-opening its embassy in Iran and our Foreign Office has given its blessing for visits to resume. Iran is a friendly, safe country which welcomes visitors. This may come as a surprise after three decades of less than favourable headlines. Modern Iran is politically very different from its past and its treasures remain intact. You will enjoy timeless landscapes, villages and great cities, all rich in the heritage of Iran’s Persian past. 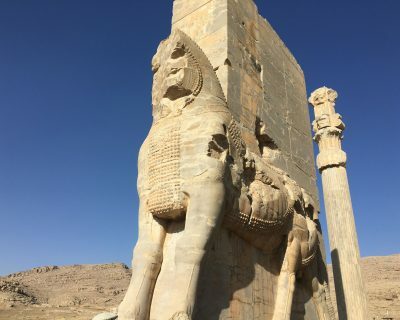 Our ten day journey of around six hundred miles takes us from Shiraz in the south to Tehran in the north and is packed with interest.